Since 1988 Photoshop starts its journey with 0.07 Version and now the latest version is Adobe Photoshop CC 2015.1. In the entire world, Adobe Photoshop is famous among the editing of photographs. I have some ideas about to accord the making of Perfect HDR Images by using this Adobe Photoshop, and also, it supports the entire versions. c) Need to use the image editing software’s like Abobe Photoshop, Adobe Lightroom, Photo matrix which you feel free to work with. 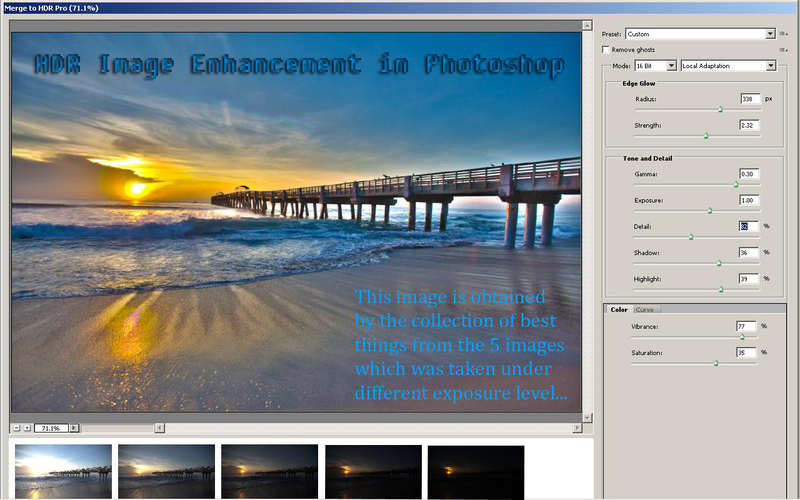 Here the HDR Image Enhancement process is carried out and processed in Adobe Photoshop. 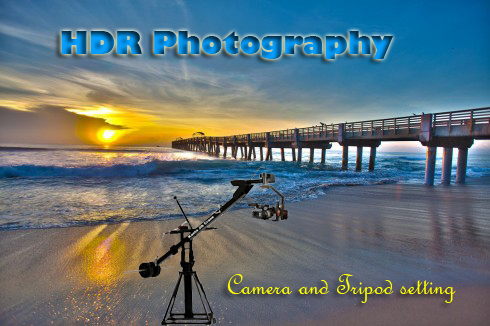 So I dedicated some experience about making of HDR images as detailed below. Maintain the snap includes 2 low exposures and 2 high exposures by taking shots from low contrast to high contrast. To make a perfect HDR image initially need to select the 3 types of source images in Under Exposure, Normal Exposure, and Over Exposure. The merging technique is acting as the main role in this HDR image. Select those three images and merge together by clicking merge to HDR button in Photoshop. Now you are having the merged photos with you in the size of 32 bits. After checking the left filmstrips turn off the individual image. Due to, camera shake if you got the blurring also turn off that photo. Most probably it is caused at longest exposure. Also, find if any ghosting parts because of movement and remove it by clicking ‘Remove ghosts’ button. After merging changes the result in 32-bit size. It will not affect your file quality. Now click the save option to save this file in the form of PSD, TIF, and open EXR. Here Open EXR format is used to work in 3D format like Maya software. Additional information is another 3D format also supports this format. After adjusting this above settings, click ok to finish. Here we get the attractive HDR images with high quality. By coming to this final conclusion, best we you will give it to the image editing service providers to obtain the HDR images basic from our various exposures.